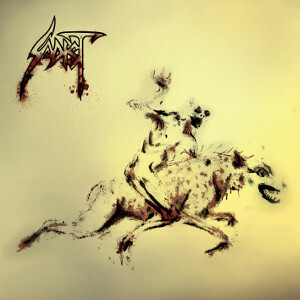 Italian Progressive Death Metal legends SADIST will release their long-waited 7th studio album “Hyaena” on October 16th through Scarlet Records. “Hyaena” is a compelling mix of the band's traditional Death Metal and Progressive influences by ethnic and tribal sounds, centered around an intriguing concept about one of Africa's most fascinating predators, according to legend, which is ridden by the devil. This is without doubt the band's most mature, diverse and experimental album ever. “Hyaena” features a very special guest appearance by percussionist Jean N’Diaye, who will also follow the band on stage on the next tour. Produced and mixed by Tommy Talamanca at Nadir Music Studios in Genova, Italy. The beautiful front cover by painter Luca Orecchia and booklet design by Manuel Del Bono are both top notch.